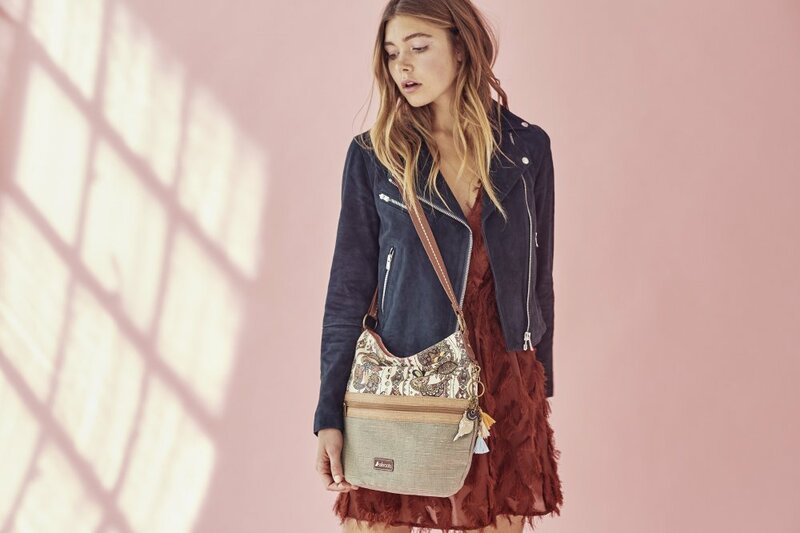 Borne out of a desire to promote authenticity and individuality among young-minded women, Sakroots was introduced in 2009 as a free-spirited American brand. Sakroots delivers fresh and unique artist-driven products and takes part in a social mission to support various nature-related charities. Today, Sakroots continues to inspire countless women to lead a life of passion, peace, and harmony through its equally authentic and empowering range of products. From its first-ever “Peace Print” collection with a Paris-born graffiti artist, Sakroots’ archive now features a worthwhile selection of beautiful, vibrant, and meaningful patterns by various artists from around the globe; all of whom share Sakroots’ optimistic philosophy. 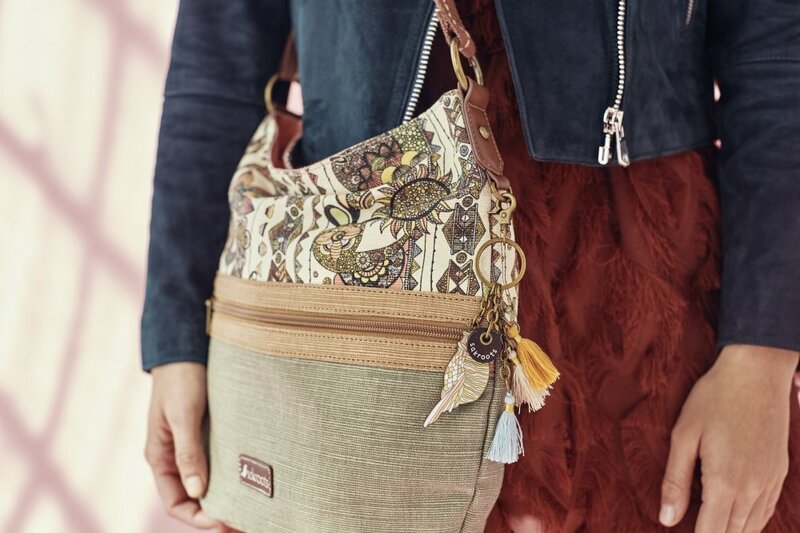 From backpacks, mini bags to convertible bags, crossbodies, satchels, shoulder bags, totes, and carry-alls, Sakroots’ wide array of lifestyle products encourage women to pursue their best life ever. A perfect gift for your special girl this Valentine’s Day, Sakroots features the Wild Life print by Niki Pilkington supports the Wild Life Conservation Society. Taking inspiration from ikat designs and the image of the American Indian war horse, the fierce and whimsical Brave Beauti print by Barbara Ignatiev supports Horses Healing Humans. Influenced by both Tribal Americana and Aztec themes, the Spirit Desert print by Valentina Ramos is vibrant and teeming with life. The Spirit Desert print supports the Wild at Heart organization. Similarly stimulating and colorful as can be, the One World print by Diane Barcelowsky represents the idea that we all share one world and are united by our collective desire for peace. The One World print supports the Elephant Nature Park. Also breathing life to Sakroots’ roster of prints are Olivia Schoeff’s Xen Garden which supports the San Francisco Botanical Garden Society, Joshua Davis’ Flower Power which supports the North American Butterfly Association, and lastly, the Sakroots’ signature Peace Print which supports the Earth Day Network, the largest civic observance in the world. Sakroots believes that a life led by purpose is a life worth living. With its assortment of products that each bear mindful designs that are crafted from the heart, Sakroots seeks to be a part of the meaningful journeys of its wearers! Sakroots is available in all Bratpack Ayala Center Cebu, Bratpack Robinsons Galleria Cebu, and Ladybag stores nationwide and at select The Travel Club stores and shopping website, Zalora. As for me, I make some custom and memorable gifts like the lapel pins from https://www.pinsource.com/custom-lapel-pins/die-struck for example. I think it is very cool and interesting. What do you think about it, guys?